Being a mom, period, keeps a woman on her toes. Children will be children for the most part. They want to be fed constantly, they want to be entertained or be given something to entertain them, and they want to be noticed and appreciated. And of course, the list goes on. 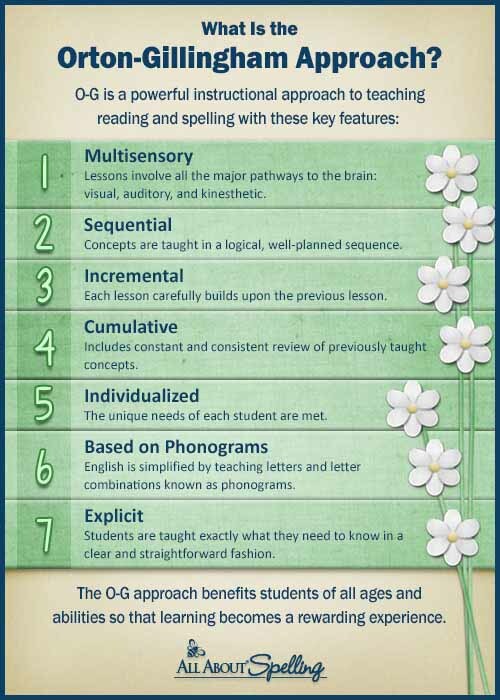 But for a dyslexic child you may add to this list; a constant need for affirmation, a continual insistence that they keep working (in spite of the fact that they probably will have to work harder than the ‘average kid’), you get the idea. In other words, they need parents that are as understanding as they are stubborn. Even when a dyslexic child hears affirmation and praise they can still feel “stupid” and overwhelmed. The reason for this is simple… they are smart, and can recognize that they are at different levels of learning than their peers. They know by experience that they cannot read what other kids their age read. They have difficulty spelling what other kids their age spell. Top it off with being pulled out of classes for ‘special education’ studies, and they often feel demoralized. That makes a parent’s job even more demanding because it falls to us to keep them and ourselves motivated so that they don’t give up and drop-out of school completely. In this, we have to be stubborn. Here are a couple of things to solidify in your mind as you work to reset your child’s thinking about himself/herself. 1.) 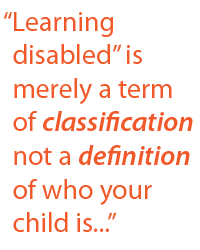 “Learning disabled” is merely a term of classification not a definition of who your child is…. I realize someone had to come up with a label for children who struggle academically. Especially when lobbying began to take place on behalf of children who require extra help in the school system. Whether your child is in a parochial learning environment or home educated (like mine are) you should understand what help is available. Most likely, the term “learning disability” was coined by one of the average, well-meaning people who didn’t have these struggles. I can’t begin to tell you how grateful I am to the doctors and educators who have committed to find ways to help children succeed not only in school, but in life. God bless them all. However, words are powerful and need to be chosen wisely.With that said I wish they had chosen a more positive moniker. Here’s why. Let’s break down the word DISABILITY. My older son that has been tested to have dyslexia does, in fact, have a harder time retaining what has been studied, he definitely does learn differently, but he definitely does not fit a category of person who does not have “the quality or state of being able to perform” or, in this case, learn. With hard work, and a wonderful tutor, at the age of 16 he is now a fluent reader who comprehends what was read. He has shown the ability to acquire this proficiency. For him, his blessing of dyslexia has taught him patience, resilience, self discipline, and an understanding that he can accomplish anything he sets his mind to if he doesn’t give up. Academically he may be labeled, “learning disabled”; at present we can’t change that. But in actuality he is learning abled and we need to reinforce this. They should understand their situation, but once they do, consider avoiding labels with your child altogether except when necessary. Change the way you, your child and others perceive him or her by changing the way you describe their situation. 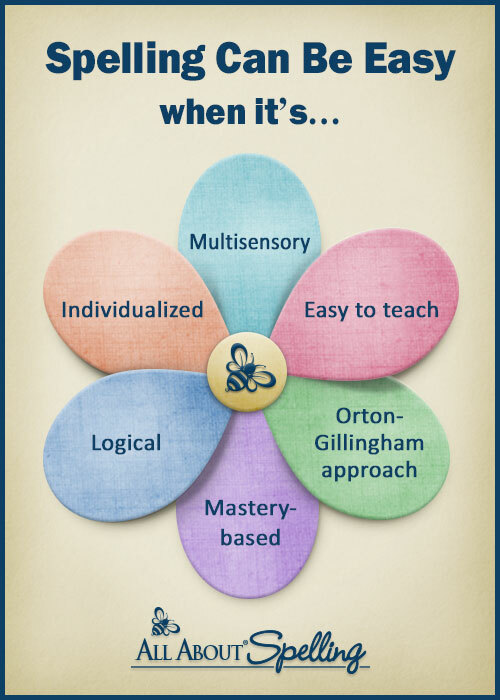 I tell my own children (I have 2 out of 6 with dyslexia) that they have a mind that learns and thinks differently, and that we are on a path to discovering how to cater to their way of thinking. So, start right now to use words that focus on the potential not the problem. 2.) Your child is a treasure chest of bounty. The question is, what does this treasure chest hold? General Patton had dyslexia and it gave him the ability to see the big picture in military campaigns. Edison may have been kicked out of school because he “couldn’t learn”, but he was a genius who, at his height, was submitting a new patent for an invention almost every week. 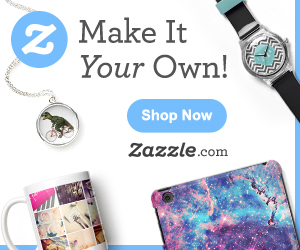 What bounty of treasure is in your child? Are they creative, visionary, mathematical? Trust me, every child has greatness inside, and they need you to help them see that. My son, Josef has a treasure trove of creativity. He tells stories and is an emerging professional illustrator in his mid-teens. My advice to him… ‘Don’t give up’. He can make it happen. You need to vocalize this until your child believes she/he is filled with greatness. Not every person, dyslexic or not becomes famous, rich or powerful, but we all possess the potential to have a great, meaningful and productive life. Realizing this means you cannot give up on your own very able child who is filled with potential. Your own patience, resilience, self-discipline and belief in your child has to exceed his own. At times, that isn’t easy, but it’s worth it. It takes a stubborn heart that doesn’t give up – ever. Tell me about the gifts your child has. How do you keep your child encouraged and moving forward? Let’s help each other have the tools and ideas we need to help our children become all they can be.